Baum-Kuchen: Baum-kuchen Studio/Shop opening party! 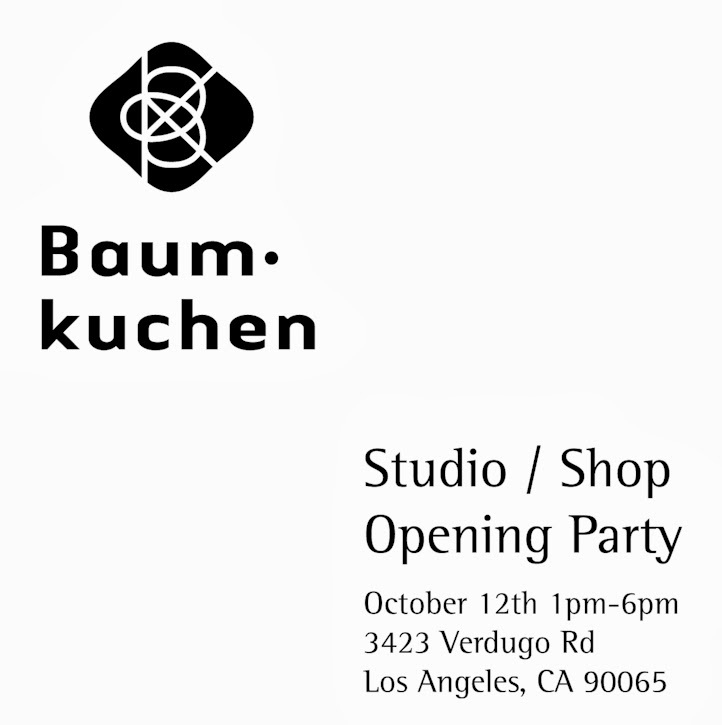 We are thrilled to host a little opening party to celebrate an exciting milestone for Baum-kuchen! We are collaborating with our neighbors including Stefan Bishop, a furniture designer and our next door neighbor SWRVE, a bicycle apparel maker to create a "block party" kind of feel! We will be providing drinks at our shop as well as Stefan's workshop and guests will be able to enjoy delicious food made with organic and seasonal ingredients from Gastrobus Food Truck! p.s. you can get timely updates about the event here on our Facebook event page!